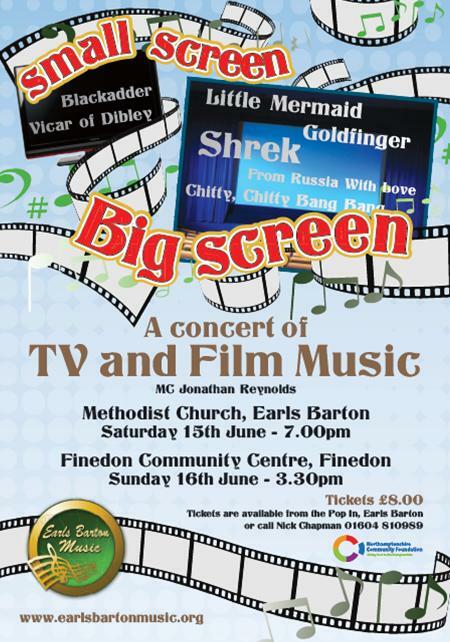 Jonathan Reynolds was the MC for the Saturday evening and Sunday afternoon performances of a range of film and TV theme tunes. The programme began with two Disney medleys and We Belong Together from Toy Story 3 sung by soloist Paul Whiteman – these were much enjoyed by the younger members of the audience. Next a rendition of Raindrops Keep Falling on my Head from Butch Cassidy and the Sundance Kid, sung beautifully by Jonathan. This was followed by an ensemble performance of Lara’s Theme from Dr Zhivago, and My Favourite Things from The Sound of Music sung by Jeanette Houghton, then the very high-tempo Chitty Chitty Bang Bang and another Disney medley sung by the full choir. Rita Gee treated us to a rendition of Smile from Modern Times, despite her broken foot, and the choir performed My Heart will Go On from Titanic, followed by Silent Witness – arranged by Jon Rees. The first half finished with a gallop as the choir delivered themes from The Vicar of Dibley, Red Dwarf, Mr Bean and Blackadder. James Bond (aka Jonathan Reynolds) made an appearance after the interval and the choir sang Goldfinger, From Russia with Love and Nobody Does it Better. Claire Radd sang For Your Eyes Only, and the choir accompanied Stacey Bee as she sang Skyfall – arranged by our very own Jon Rees. Next Jonathan and Claire treated us to Music of the Night and Phantom of the Opera, followed by Vois Sur Ton Chemin from Les Choristes and Hallelujah from Shrek performed by our ensemble group. May it Be from Fellowship of the Ring was sung hauntingly by soloist Hannah Flanagan, and the choir finished up this section of French and Fantasy with I’m a Believer from Shrek. The concert came to a close with Always Look on the Bright Side of Life from Life of Brian, which the audience couldn’t resist joining in with! Thanks to musicians Kate Oram (Piano), Kevin Flanagan (Drums), Andrew Loake (Guitar), Steve Hollingshurst (Bass Guitar) and Stacey Bee (Saxaphone/Flute). Needless to say much fun was had by all.